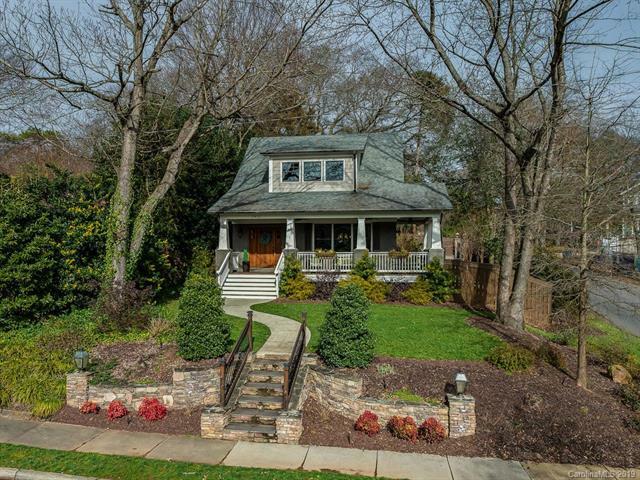 Custom ELIZABETH CRAFTSMAN with wraparound front porch and covered, closable back patio/sunroom that invites lots of entertaining both inside and out. Pull in to your side load garage through automatic gates accented with flickering gas lamps surrounded by a travertine stone patio that leads to your 2011 rebuilt 4BD home with all of the charm of historic homes and all of the advantages of newer construction. No expense spared w/Viking fridge, 36" gas range/oven, tankless water heater and much more. Must be seen to appreciate all of the details. Awesome landscaping with slate stone steps, stone & paver walls, travertine patio, irrigation, fencing, gates, water feature and custom built covered patio with heaters and motorized full weather curtains. TV's, heaters, and kegerator on the back patio will be staying with the home! Home has been pre-inspected. WELCOME HOME!